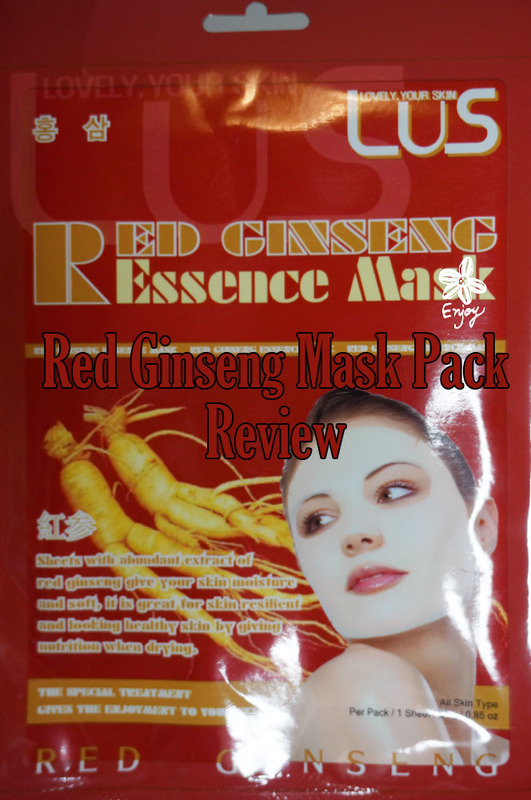 Today's LUS mask is going to be Red Ginseng essence mask. 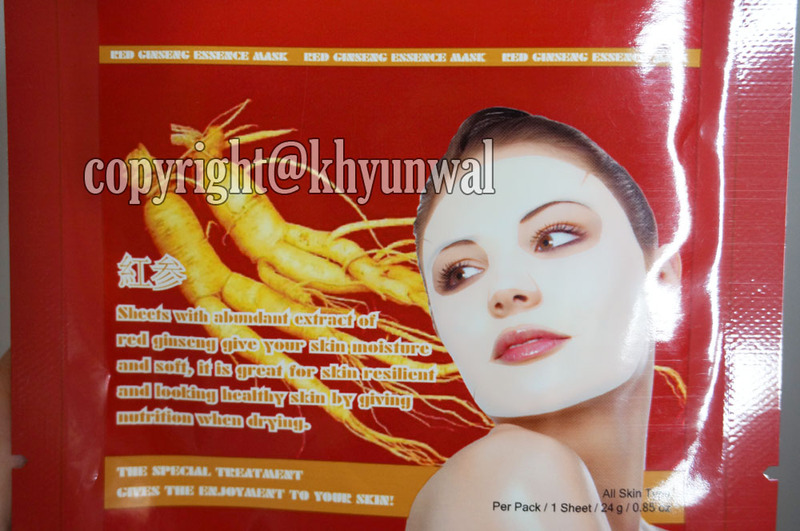 I personally found this product interesting because I have never used Ginseng as skin care, although I was aware of it's amazing effects, since this is one of the popular beauty ingredients in Korea of all time. 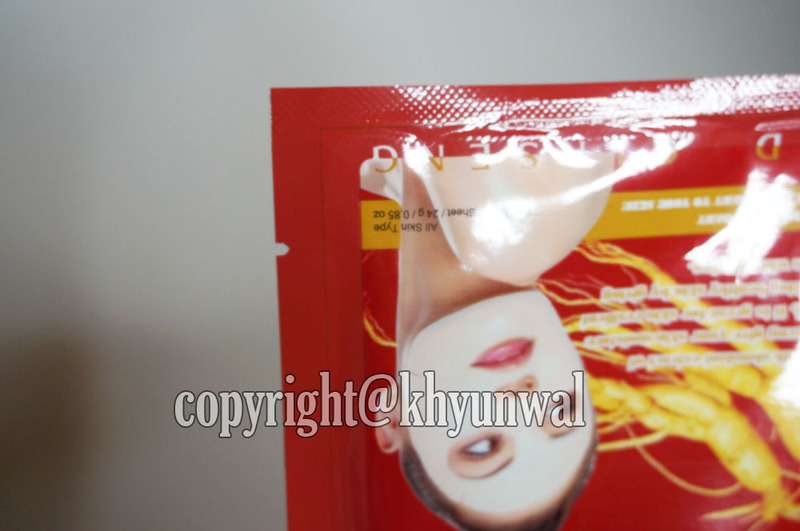 You can get LUS essence mask on eBay. I am thinking not many of you are aware of what Ginseng is, and its benefit for you. 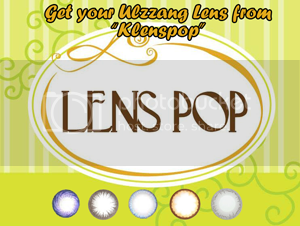 Ginseng is one of the eleven species of slow-growing perennial plants with fleshy roots. They are only found in certain area such as the Northern Hemisphere: North America, Korean, Northern China, and Easter Siberia, in cool climates. Ginseng has many benefits when it comes to both health and beauty. For health benefit, Ginseng is used a lot in many ways. In Korea especially, people take ginseng roots as adaptogens, aphrodisiacs, nourising stimulants, as well as for natural treatment for type 2 diabetes. 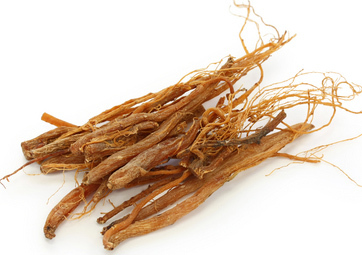 Ginseng has effect on lowering blood sugar levels for those who are suffering type 2 diabetes. It is also good for weight loss, because ginseng gives an energy boost which helps you to be more active. Not only that, Ginseng is used in many females in Korea for their health. If you are suffering with abnormal menstruation and strong PMS symptoms, Ginseng will help you. I sometimes make tea out of ginseng roots and drink it during winter time. This helps me to make my body give the warmth it needs. Now let's go to beauty benefit! Drinking ginseng tea is good for refining and re-hydrating the skin effectively. Not only that, it also promote skin cell regeneration by increasing oxygenation to skin cells. And since ginseng is known for boosting blood circulation as well as clearing the blood, it will help you to remove any toxins and your skin can gain better complexion! According to its short description, this mask pack is good for skin emollients, clearing out skin, and boost up elasticity that skin needs. Which sounds great since my face has been feeling little lack of elasticity due to not enough time to rest. As you can see before apply the mask, my skin looks little bit saggy, have red blemishes, and really bad dark circle. However after 15 minutes of application, my skin instantly got more elasticity as well as getting whitened. I haven't used Ginseng on my skin before so I was really surprised about the effect of it. My skin still feels very bouncy and whitened, without having to put any additional skin care on it.